India has become the largest country of origin for international migrants, with the numbers doubling lately. Here is an account of the rapid immigration taking place to and from several countries and how India is at the helm of it. According to a report released by the United Nations, Indians account for the maximum number of migrants in the world with more than half of the 16.59 million living in the Gulf region. As per the 2017 International Migration Report, during the rapid globalisation that has taken place in this century so far, the number of Indian migrants doubled from 7.98 million in 2000. The report also stated India being the largest country of origin of international migrants at 17 million, followed by Mexico, which sent out 13 million migrants. Russia, China, Bangladesh, Syria, Pakistan and Ukraine also have large migrant populations living abroad, ranging from six to 11 million each. The report gives a broad definition of international migrants, taking into account anyone living in a country other their own and includes refugees and economic migrants, both those immigrating officially and those who do so “irregularly”, the Indian media quoted Bela Hovy, the chief of the Migration Section of the UN Department of Economic and Social Affairs. The count of migrants is not on the basis of nationality or ethnicity and hence does not include children of migrants born in the countries their parents moved to or visited. The maximum number of Indian migrants are in the United Arab Emirates (UAE), where their numbers rose to 3.31 million from 978,992 in 2000. The United States of America (US) follows the list with 2.3 million Indians, up from 1.04 million, the report said. In all the Gulf countries together, Indians totaled 8.9 million. Of them, 2.27 million were in Saudi Arabia, 1.2 million in Oman and 1.16 million in Kuwait. The number of migrants from other countries living in India is 5.2 million, a fall of 1.22 million from 2000. Most of the international migration takes place among developing countries with 60 pc of the migrants from Asia going to other Asian countries, Hovy said. About USD 400 billion is sent to developing countries by migrants and the remittances used to finance education, housing and other activities that promote development, Hovy added. There are about 1.3 million Indians in Europe, almost double the 665,105 in 2000, Britain has most of them – 836,524, up from 452,144 in 2000. The number of Indians in Canada is 602,144, an increase from 319,138 in 2000. Australia has 408,880 people from India now, more than four times from 90,719 in 2000. In the current political climate, “migration has become a toxic” topic, said Leonard Doyle, the spokesperson for International Migration Organisation’s director-general William Lacy Swing. Rapid migration is also a cause of worry for the implementation of sustainable development, and data like this helps authorities prepare for to manage its ill-effects. “Reliable data and evidence are critical to combat misperceptions about migration and to inform migration policies,” said Liu Zhenmin, UN Department of Economic and Social Affairs’s Under-Secretary-General. “These new estimates of numbers of international migrants around the world will provide an important baseline for Member States as they begin their negotiations on the Global Compact for Safe, Orderly and Regular Migration,” Zhenmin said. 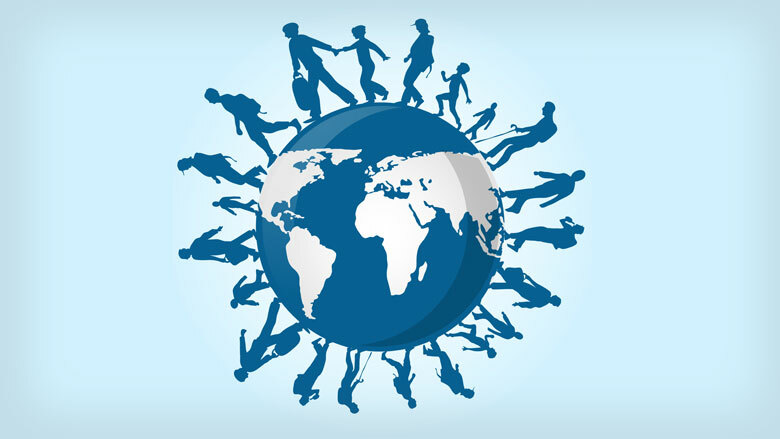 Migration also contributes to the population of a country while reversing the number of people in another, making such counts more important.